Today is Miss Em's very FIRST Birthday! She smiled and totally posed it up for me. And check out those rolls. I am absolutely in love with the little ankle rolls. Scrumptious! 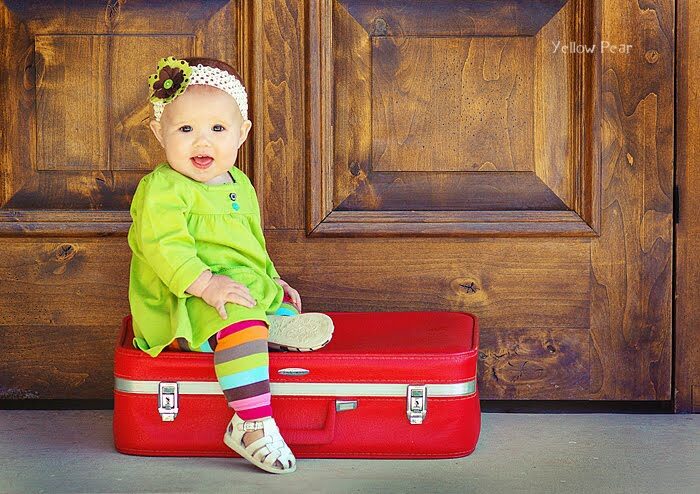 I sat her on this retro red suitcase facing me with her two little legs hanging over the edge. She then proceeded to move and pose and I like what she came up with much better. I mean look at the perfection...a leg pop, a toe point, a great smile...doesn't get too much better. SUCH great photos! Makes me sad that we moved away from you. So cute, so colorful! Love it, love it! Ok...she needs to go directly to Hollywood and Star in Movies! 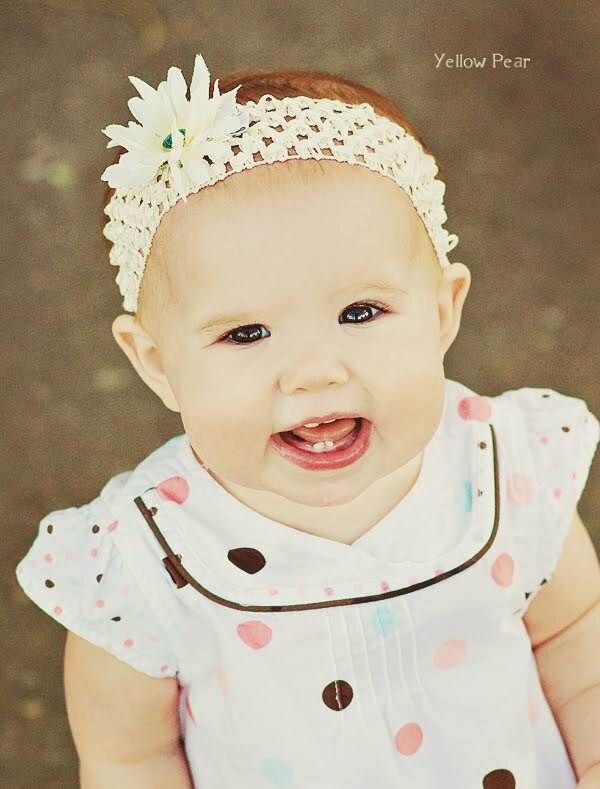 She is the cutest little girl I've ever met! And I totally agree with ya Erika....scrumptious rolls! HaPpY BiRtDaY! I am so bummed I can't get your talent this year for pics....I will have to book you earlier! I LOVED your Halloween motif...is it hard to be so creative? You make it look so easy, especially that great cooking party you did for Ms. B. I think you sound like the world's best mom! Seriously! Can you give me some pointers on party making and color coordinating and fun food? Darling! I forgot she's right there with our 3 boys! I love her big eyes. 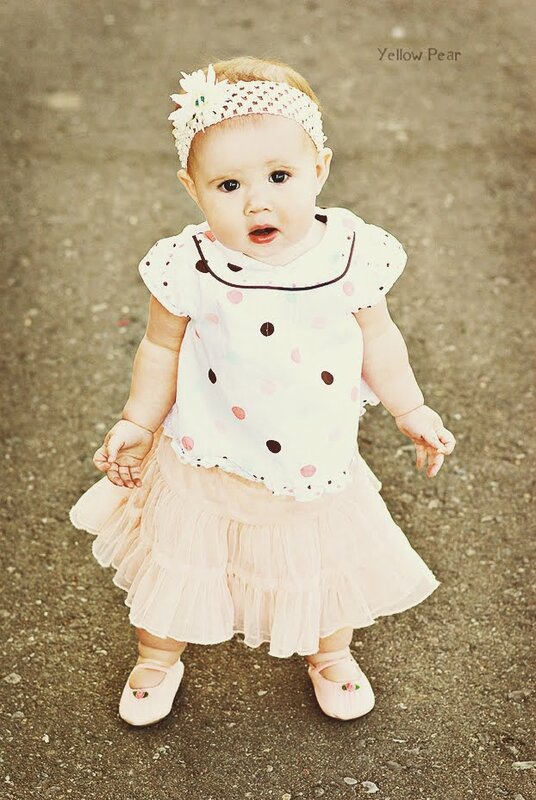 She looks so fun to dress, like a baby doll ;) If I were her mom I would plan her outfits for the week. 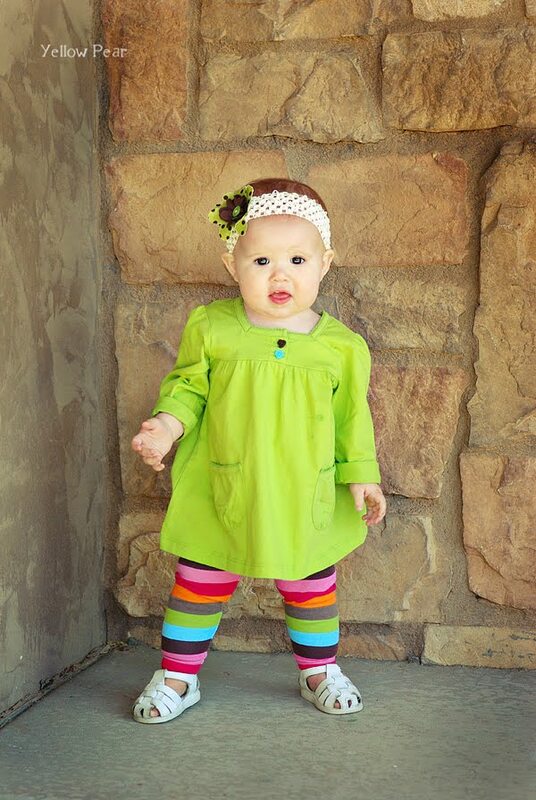 Man, I love dressing babies! !